As we wander alone on the shores of tranquility are we able to quiet our minds for a moment of silence and reflection or do our minds resemble a Lake Michigan rip current that sweeps through with a sudden force as the winds of doubt crash into the large waves of unanswered “whys?” swirling in our minds and dragging us back to the past? Why do bad things happen? Why do relationships end? Why was I afraid to follow my dreams? Why do some people have problems they cannot solve and others have problems they refuse to solve? The excellent line by J.R.R. 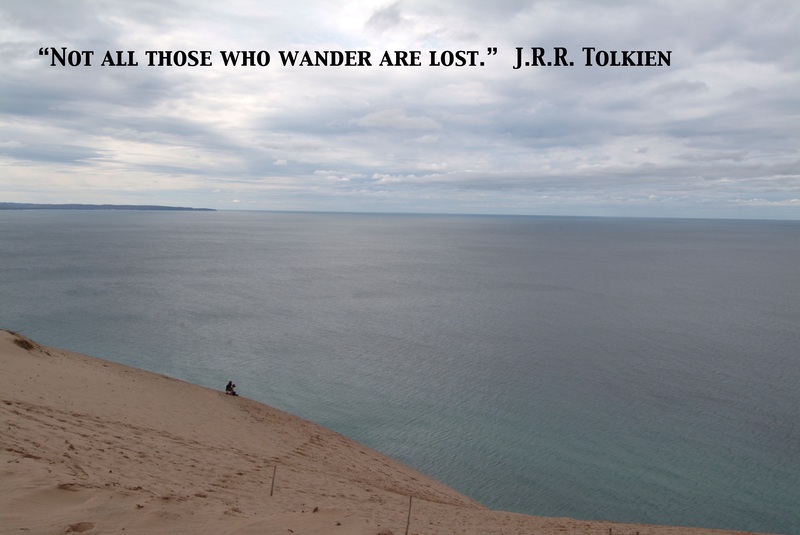 Tolkien, “Not All Those Who Wander Are Lost,” could describe the ideal human condition of roaming through our days without purpose or objective, but never lost, to allow us to explore a world through curious eyes open to spiritual revelations and the unknown. How can we be free to wander and rejoice in the unexpected enjoyments awaiting us, if once we leave the shores of tranquility we choose to look over our shoulders and become locked in a paralysis of unanswerable questions from the past? There is a fine line between asking a curious or retrospective “why?” that can provide answers and awareness and an unanswerable “why?” that threatens to drag you from the freedom to wander, to a past of doubt and pain in a revolving current drowning out the silence of a peace of mind. 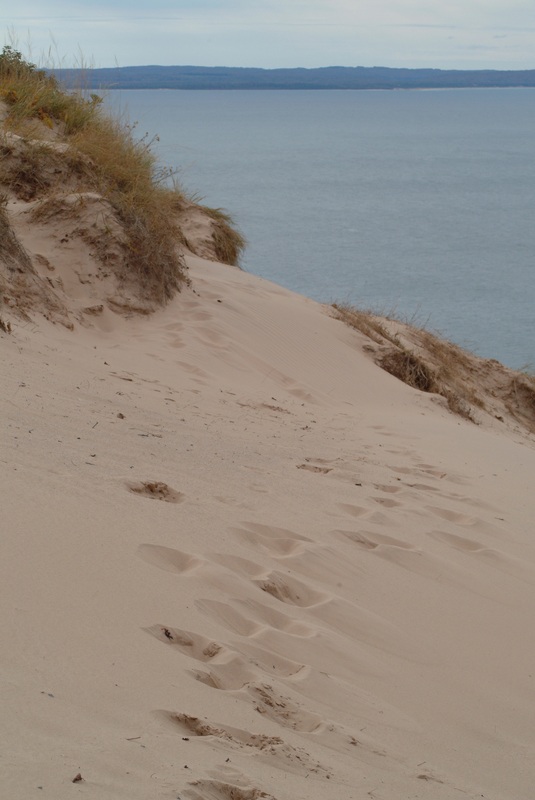 Take the time to mentally picture the unanswerable “whys?” flowing through your fingers like sand from a Lake Michigan beach and becoming buried in the tranquil shores of your mind and reward yourself with a few hours to wander. Once you become lost in the joy of wandering, you may be surprised at how much enjoyment awaits you over the next dune or around the next corner. Every once in a while the mind needs some sort of a release. Wondering is perfect for it. It is in those moments where our creativity can grow. Careful not to drift for too long though. Unfortunately, life usually interferes and pulls us back from drifting and wandering for too long. Hopefully, the enjoyment and peace of mind we discover while wandering fills our hearts and minds until the next chance to wander.